Guidi, a successful Florentine surgeon, was invited to Paris in 1542 to help the French King Francis I apply medical advances of the Italian Renaissance to French medicine. Francis appointed Guidi his personal physician and chair of surgery at the Collège de France. Upon the death of Francis I in 1547, Guidi was recalled to Italy by Cosimo I, ruler of Tuscany, and became his personal physician and professor of philosophy and medicine at Pisa. When Guidi came to Paris, he brought with him a copy of a tenth-century Greek surgical manuscript as a gift for the French monarch. Guidi was able to complete his Latin translation and commentary on the manuscript and published this work. The book is a compilation of what was then known about treating wounds and fractures, especially war wounds. 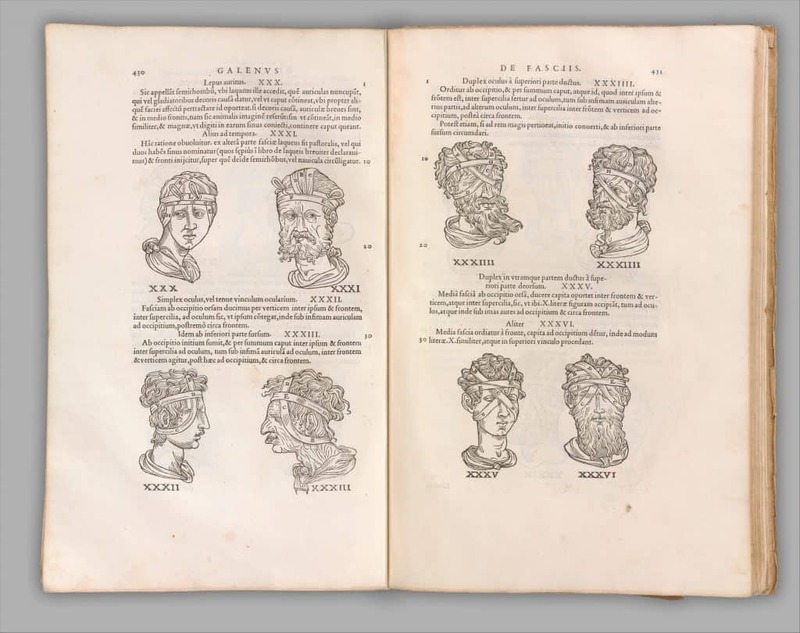 Most of the book is devoted to Hippocrates’ writings on ulcers, fistulas, and head wounds with Guidi’s commentaries and observations, and Galen’s commentaries on Hippocrates’ works on fractures and joints. The artist of this book is thought to be Francesco Salviati and was formerly attributed to artist Francesco Primaticcio. 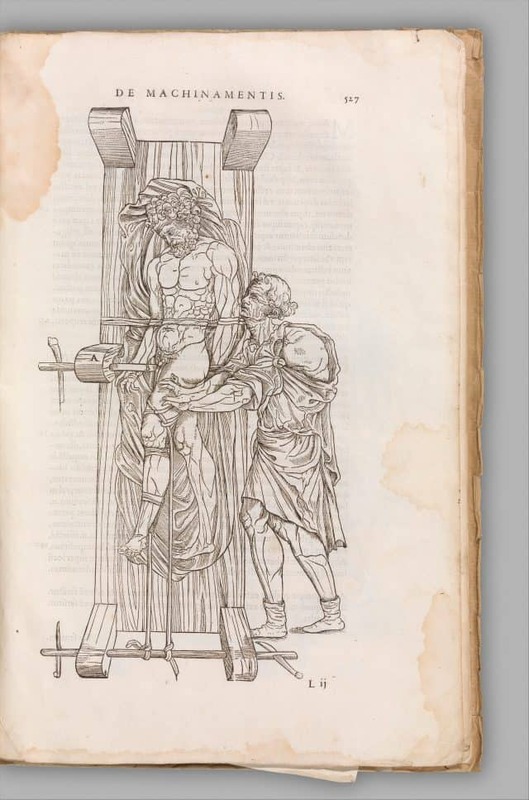 This book is often considered to be the finest textbook of surgery printed in the 16th century. View a digitized reproduction of this book from Gallica.